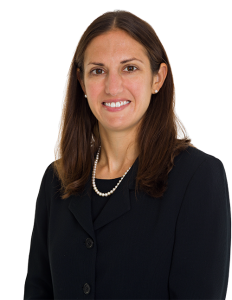 Dr. Elizabeth Inkellis Langhammer specializes in surgical and non-surgical care of the hand, wrist, and elbow, as well as peripheral nerve problems throughout the body, in adults and children. Conditions that she treats include nerve compression such as carpal tunnel and cubital tunnel, fractures and dislocations of the hand, wrist, forearm, and elbow, tendon lacerations and injuries, trigger finger, tendonitis, arthritis of the hand, wrist and elbow, Dupuytren’s contracture, pediatric hand conditions, ganglion cysts, nerve injuries and peripheral nerve tumors, and sports-related injuries of the hand, wrist, and elbow. She is a Clinical Assistant Professor of Orthopaedics at the University of Maryland School of Medicine. She is a Maryland native and earned her undergraduate degree with honors at Princeton University. She went on to earn her medical degree at the Columbia University College of Physicians and Surgeons, where she was elected to the Alpha Omega Alpha honor society. She completed her internship and residency in orthopaedic surgery at the University of California San Francisco. She then went on to complete a fellowship in hand and upper extremity surgery at the Hospital for Special Surgery in New York, where she served as chief fellow. Dr. Langhammer’s research has been published in orthopaedic and hand journals, including the Journal of Hand Surgery. She is a member of the American Academy of Orthopaedic Surgeons, the American Society for Surgery of the Hand, and the American Medical Association. Please tell us about YOUR experience with Dr. Inkellis Langhammer!